Harris, Stephen. 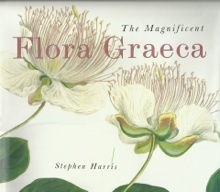 THE MAGNIFICENT FLORA GRAECA. Bodleian Library, University of Oxford. 2007. Polunin, Oleg. Flowers of Greece and the Balkans. Oxford University Press. Reprint 1997. Polunin, Oleg and Anthony Huxley.FLOWERS OF THE MEDITERRANEAN. Chatto and Windus. 1981. Sfikas, George. 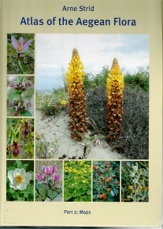 WILD FLOWERS OF CRETE. Efstadiathis Group. Athens. 2000. Tani, Maria Leticia and Andrea Innocenti. THE FLOWERS OF GREECE. Bonechi, Firenze - Italy. 2002. Tomanos, Vassilis. SKOPELOS - Guide to the Island. Nissides Publishing House Skopelos. 2000. Theophrastus . ENQUIRY INTO PLANTS. Vol. I Books 1-5 ( 1st Published 1916) & Vol. II (1st Published 1926). Heather Parsons. SKOPELOS TRAILS. A Nature and Walking Guide to Skopelos. Sotos Series.Skopelos Island, Magnesia. 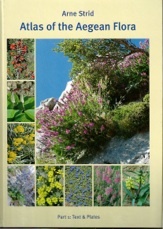 COLLINS FLOWER GUIDE. HarperCollins Publishers.London. 2009. Maria Broadley. FOOTSTEPS THROUGH TIME. Vol. 1. From early times to the rise of the Romans. Travelleur. 2015. Kóstas Mavrikís. THESE SCATTERED ISLES. Alonisssos and the Lesser Northern Sporades. Translated by Anthony Hurst. Abingdon. Oxford Maritime Research. 2010.